I love them both but I have to go with the T1, I love your attention to detail! Particularly, adding the board on top, well done! I'll take the T1 also! I really like how you've done that front windscreen - that's a nice technique. Being a reader for several months and being a fan of old aircooled VWs, I'll take the Beetle. Your bulli looks good but I prefer your beetle, it's rarely build. And your's respect the general lines of the car. Just an indication of a VW fan: Bulli are Type 2 and Beetle are Type 1. Wonderful detail in both these and it's a hard choice. I've always wanted one of each to be honest hahaha a T1 to drive around in and a T2 for going to the beach and wot not! If only I could afford it!!! These are both great. I like the van better than the official lego version. I imagine the roof on yours is also more stable than the official lego version. As for the beetle, it makes me smile. And, I can't ask for more than that! Especially the way you did the hood. Nice work! I like the beetle more, but both look great. Great use of pieces at that scale. The curves work well with the beetle. But this is coming from a non-car builder. 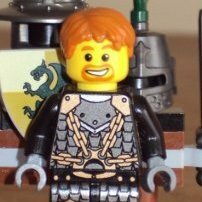 They are both beautiful, Legopard! If I had to pick one, I'd definitely pick the Beetle. I've seen a lot of campers, but very few Beetles, and I love the way you shaped the hood. Do you have the LDD file for this or are there to many illegal designs?? 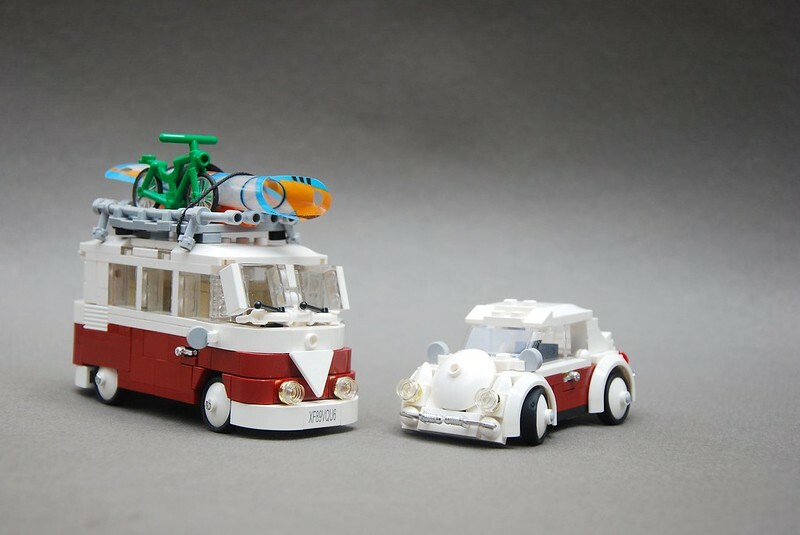 Excellent work 'Legopard', I'm a little divided on both......I can't choose, the Kombi is nice, but my heart tries to stick with the old school Beetle.....my first, second and third car. Brick On Drive On 'Legopard' ! These are both gorgeous, but if I have to choose, I'll take a combi please! Are those chromed taps for the car door handles? They look great. Lovely work with both of them! Thank you very much for your kind words. I'm glad you like the vehicles. In german the discriptions for the cars are a bit diffrent, so i made this mistake. I don't work with the LDD, so no files. If you want your own, try to figure out yourself how it's build. Are those chromed taps for the car door handles? They look great. These build are both puristic. And there are no official chromed taps. These are silver chromed door keys. Wow! Awesome builds! Both look great! I choose the Beetle! I like both, but I would choose the T1. It's all the stuff on the roof that makes it even more genuine.